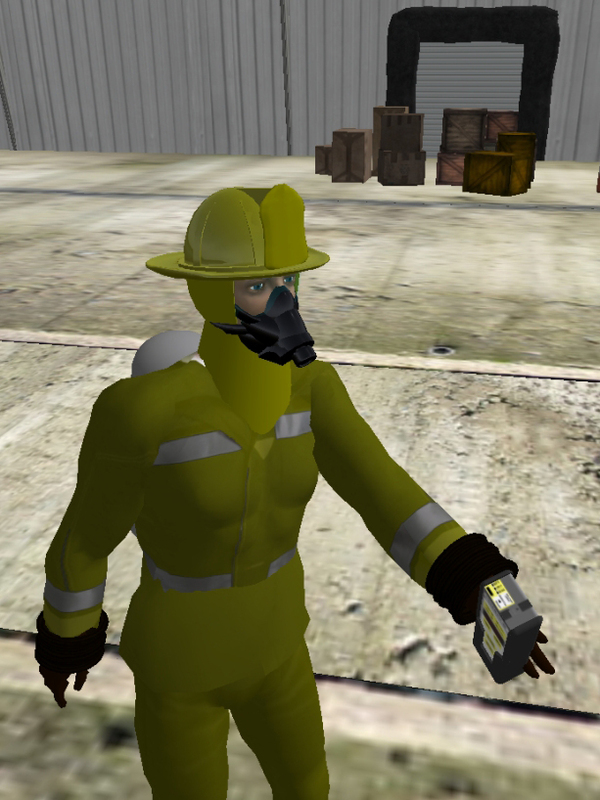 The Hazmatcad is a chemical agent detector for first responders. 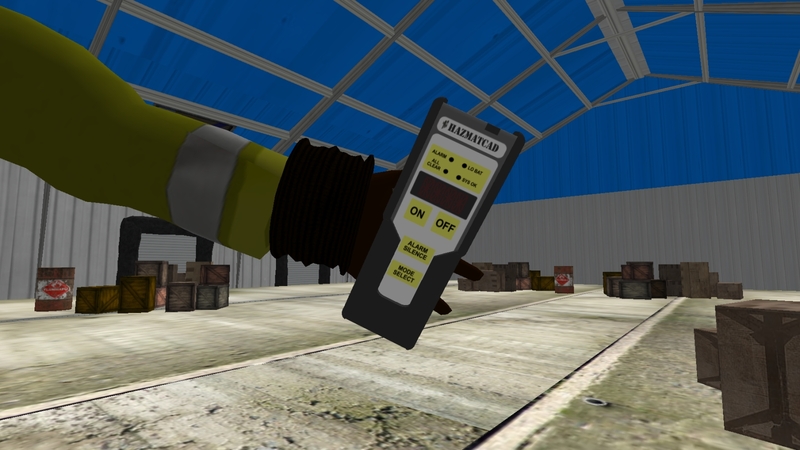 Always deploy the Hazmatcad device in a safe zone. Insert two Sony lithium-ion batteries (model NP-550) into the battery compartment and close the door. Slide the three-position sample port cover on top of the device to the DUST FILTER position. This prevents particulates from entering the unit during startup. Press the ON button on the front of the device. The unit will cycle through a series of diagnostics. When the self-test has completed successfully, the LED beside SYS OK will begin to flash green. This indicates that the device is functioning properly. In the event of a fault detection, information will appear on the display. Next, the current operation mode will flash on the display. FAST indicates Fast Mode (default) and HI S indicates Hi S Mode. After this, the device will perform a system purge to remove accumulated contaminants. The message WARM UP will flash on the display (illustrated to the left). When the display goes blank, the device is operational. The LED beside SYS OK will flash again and the first sample analysis will begin. The LED beside ALL CLEAR will be solid green if the area is free of contamination. Note that if a hazardous agent is present where the device has been deployed, the LED beside ALARM will flash red instead. The type and level of the chemical agent will appear on the display. Which setting should you move the three-position sample port cover to before starting the Hazmatcad? Before leaving the safe zone, test the device to ensure that it is properly detecting nerve and blister agents. Slide the three-position sample port cover to OPEN. Remove the caps from the stimulant check source and hold the tube against the sample inlet port for 3 to 4 seconds. If successful, the device will read G on the display and the LED beside ALARM will glow red. This indicates that nerve and blister agents were detected. Levels include LOW, MED, and HIGH and chemical agent codes are G, H, TOX, BLoD, CHOK, HYdr, and HALO. Run the device until the LED beside ALL CLEAR glows green steadily. Slide the three-position sample port cover back to DUST FILTER. Note: To check halogen cell response, instead hold a cotton swab dipped in chlorine bleach close to the sample inlet port. Repeat steps 4 and 5 after the agent has been detected. As you proceed into the potentially hazardous area, the device will respond with either a continuous ALL CLEAR response or with an alarm. The alarm is indicated by a red LED and the associated type and level of the chemical agent. The levels are indicated as LOW, MED, or HIGH and the chemical agent codes are G, H, TOX, BLoD, CHOK, HYdr, and HALO. 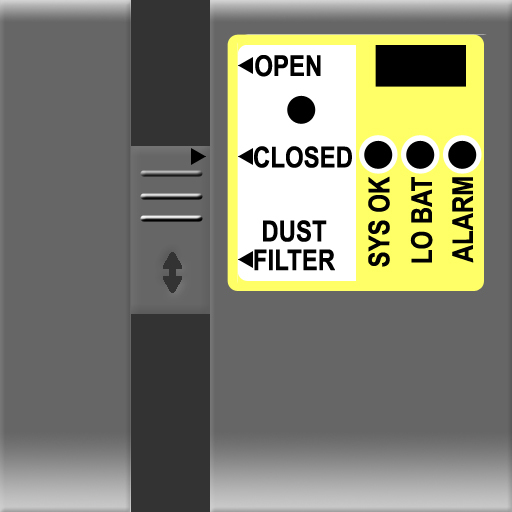 Allow the instrument to run in clean air for 15 minutes or longer to purge trace contaminants from inside the Hazmatcad Detector. 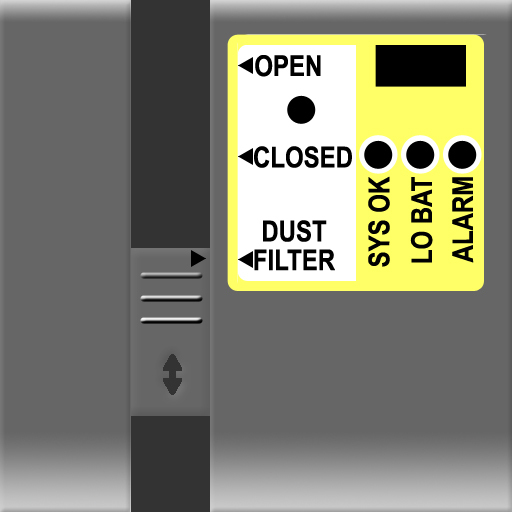 Turn off the Hazmatcad Detector and slide the three-position sample port cover to the CLOSED position. The Hazmatcad Detector can now be wiped down with soapy water or if dictated, a 10% bleach solution. (Optional) The rubber boot should be properly discarded if it shows any visible staining. Remove any residual liquids then wipe down the Hazmatcad Detector with clean water. The best method of determining whether the decontamination was successful is to place the Hazmatcad Detector in a large plastic bag and seal it tightly. After 60 minutes, sample the air in the bag with another Hazmatcad Detector or any other appropriate instrument. If any trace contamination is detected, repeat the instrument decontamination process. Choose which side of the device where you begin the startup process. The unit will cycle through a series of self-diagnostics. When this has completed, SYS OK will flash. Next, the current operation mode will flash on the display. After this, the device will perform a system purge to remove accumulated contaminants. The message WARM UP will flash on the display. Today, you will be inspecting a few areas of this facility that have hazardous waste management violations. You will be shown a number of objects that may or may not contain violations. 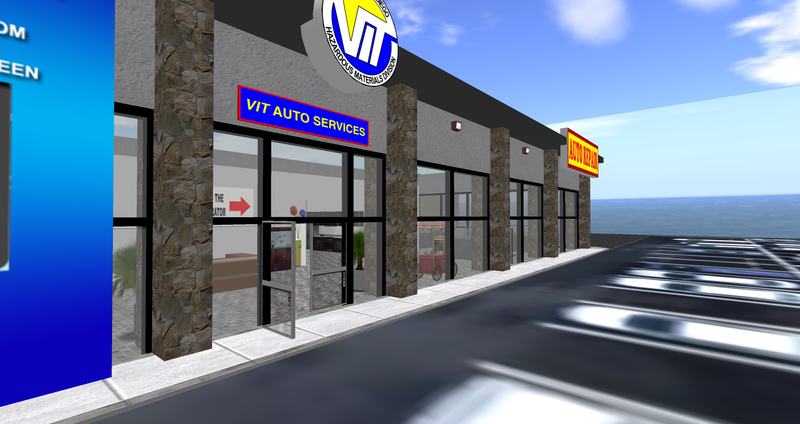 You can inspect the objects, ask questions from the owner, or get advise from your supervisor before you choose which violations are present.